Do You Feel Pressure in Important Matches? 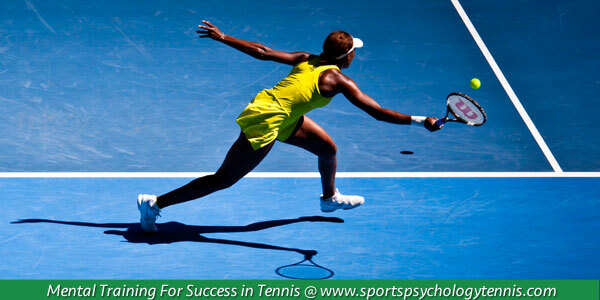 Do you feel pressure when you play important tennis matches? Do you tend to crumble under the weight of pressure? So many tennis players feel pressure even before they step on the tennis court. You start to wonder if you might miss the mark in this match… Your anxiety builds during the match as you desperately try to find your groove. Another bad shot… another unforced error… more frustration and anger and soon you have totally taken yourself out of your game. Tennis players often experience a sense of pressure when they start imagining what might happen if they don’t play up to personal expectations. 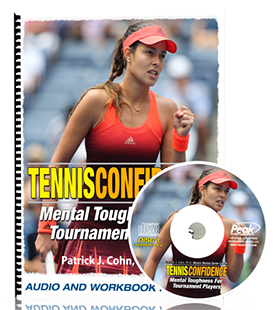 Pressure causes you to fear the outcome of a set or match instead of playing each point. No tennis player has been in the limelight in 2015 more than Serena Williams. Serena has put together a tremendous 2015 season year winning three Majors (Australian Open, French Open and Wimbledon). With just one title away from achieving the “Grand Slam,” Serena constantly fielded questions about the pressure to win the US Open and achieve elite tennis status. Serena consistently went about her business preparing for her matches and playing her game. Something changed at the 2015 US Open. While facing unseeded Roberta Vinci in the semifinals, Serena didn’t seem to have the look of composure. In fact, Serena struggled to find her groove and appeared frustrated, dejected and flustered in the second and third sets after missing shots she normally hits with ease. In the end, Serena lost the match 6-2, 4-6, 4-6 in one of the greatest upsets in tennis history and ending her Grand Slam bid. In a post-match interview, Serena disputed the loss was due to feeling pressure to complete the Grand Slam. Some degree of pressure helps athletes to thrive within their sport. Too much pressure causes athletes to implode, that is, they self-destruct mentally causing their play on the court to be frantic. Perfection-like expectations are the hidden pressure all perfectionists must cope with. With each new miss, comes more frustration and dejection. Do I hit it harder? Do I go for less? Do I play more aggressive tennis? Do I back off and play safe? 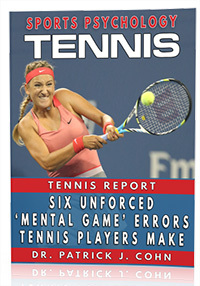 Although Serena did not feel the pressure to win the Grand Slam, she did struggle with the hidden pressures associated with trying to play perfect tennis.